Thomas Jefferson University Hospital in Center City Philadelphia. After a decades-long clinical partnership, Jefferson Health and Magee Rehabilitation announced Tuesday that the two organizations will combine to improve care for patients recovering from debilitating injuries and medical conditions. Jefferson's partnership with Magee began in 1978 with the joint formation of the Regional Spinal Cord Injury Foundation, which went on to receive a designation as one of the nation's 14 Model Spinal Cord Injury Centers by the National Institute on Disability, Independent Living, and Rehabilitation Research. Over the next 40 years, the two organizations deepened their research and patient care collaboration in the areas of biomedical services, pharmacy, respiratory therapy, radiology interpretations, residency programs and other student education. Their combined efforts currently serve patients recovering from spinal cord injury, stroke, brain injury, amputation, multiple sclerosis and orthopedic injuries. "This next step was a natural progression given our similar goals to improve the lives of the patients we serve,” said Stephen K. Klasko, president and CEO of Thomas Jefferson University and Jefferson Health. "By fully integrating, patients will experience an enhanced continuum of care with access to high quality, cost-effective programs and specialized services, such as art, horticultural and music therapies, as well as the benefits of innovative research endeavors for rehabilitation medicine made possible by the comprehensive menu of expertise at our organizations." The combination, effective this month, further extends the rapid growth of Jefferson's regional footprint. In four years, the health system has expanded from a three-hospital network in Philadelphia to 14 hospitals in two states and more than 50 outpatient locations. Magee is the 13th ranked rehabilitation hospital in the United States, according to U.S. News & World Report, while Thomas Jefferson University Hospitals are collectively ranked 16th in the country. A key feature of the combination will be the extension of Jefferson's telemedicine platform to Magee patients, providing convenient, at-home access to medical consultations with their physicians. "When Magee's patients reach their highest levels of independence and a true quality of life, it is the result of many things done right," said Magee CEO Jack Carroll. 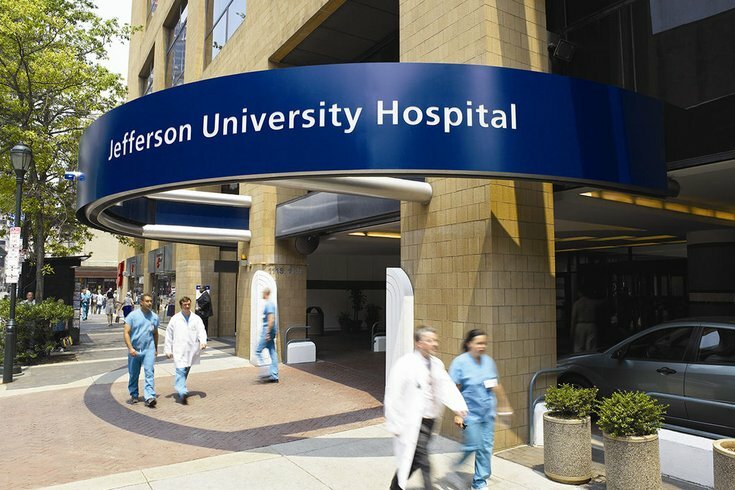 "Officially reuniting with Jefferson brings more expertise, experience, and regional access to patients in need of physical and cognitive rehabilitation, and beyond that, facilitates easier transitions to any of the high-quality post-acute care services offered throughout Jefferson Health that a patient and family might need."